To say that 2017 has been eventful is an understatement. With travel, the loss of my father, discovering more about my genetic clan, and just the day-to-day living of life and responsibilities, it’s been a year full of challenges, emotional ups and downs, and big lessons learned. And most of those lessons, honestly, I’m still processing. It can seem overwhelming and the best approach I know to deal with that is to choose mindful ways to wrap up the year and do some planning as I look ahead. First, of course, is tuning into my own life and inner wisdom in the first moments of the day with my coffee ritual. The mindful pouring into a favored mug. Adding turbinado sugar and listening to the plink plink plink as the grains hit the steaming brew. Then, if I’m in the mood, adding a few splashes of cream: organic whipping cream from grass fed cows. Each step done with mindfulness and prayer. Ah, and then the first sip: the steam rising to slightly fog up my glasses and that mix of bitter and sweet perfectly blending. Of course, beyond that moment, the rest of the day is rarely that mindful. There are Things To Do and such, of course. Like any of you, I can find myself on auto-pilot or just going through the motions. Reality, of course. And this time of year, a bit of a regret because I want to be present, mindful, aware, and thoughtfully taking in all the goodness around me. The lights, the trees, the festive music – all ways of bringing solemn moments and infusing daily life with ritual. Realistically, I know that I’m not wired to function 100% mindfully every moment of the day. And that’s ok, truly. That doesn’t mean though that I can use my end of the year planning and rituals as a way to seize the magic and fuel my life with tiny moments of ritual and beauty. Over the years, I’ve curated a half-dozen little ways to lovingly wrap the current year as I plan and prepare for the year ahead. Especially in challenging years, I am needing more: more quiet, more compassion, more thoughtfulness, and more ways to seed the coming days and months with tiny rituals and mindful moments. 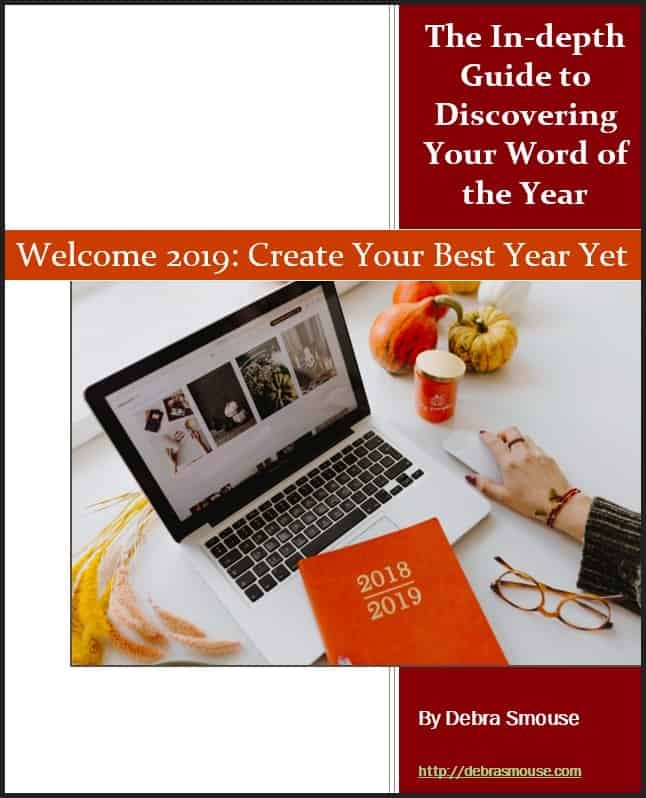 As I create books like my Create Your Best Year Yet: Hello 2018 – The In-depth Guide to Discovering Your Word of the Year, I think about the questions I’ve avoided asking myself as well as the logical questions (that often seem over simplistic). The creation of this tool for others helps me wrap things up and prepare for the year ahead. I haven’t set resolutions since 2003. Instead, I choose a word (or three) to serve as a guide for the year ahead. As I prepare this part of my yearly workbook for subscribers, I begin playing with what words are seeking me. What courses do I want to offer in the year ahead? What book would I like to work on? What topics do I desire to explore? This allows me to see if I should consider another year with the word (this year’s word was “Unbound Grace”). How was I true to the word? How did it serve to assist me and hold me? Was it active enough or passive enough? I detail all my successes of the year, consider what goals weren’t achieved (and why), and take a solid look at what’s just within reach. If I’ve gotten off track with my gratitude practice, I make another big list: every big and little thing I’m grateful for. If you’ve been following The Advent Series, you see that I begin with the tent of hope and ask myself: what are your hopes and dreams for the year ahead? What do I want to create? What do I wish to experience? I ask: other than money and time, what do you want more of? Other than weight, what do you desire less of? What do I no longer want to do? What do I wish to shed? I walk around the house, room by room, and see how each room feels. Does it need decluttering or tidying up? Do I need to paint? Is it time to change out the art? I take a day off from work and other obligations to enjoy my home all decked out for the holidays. 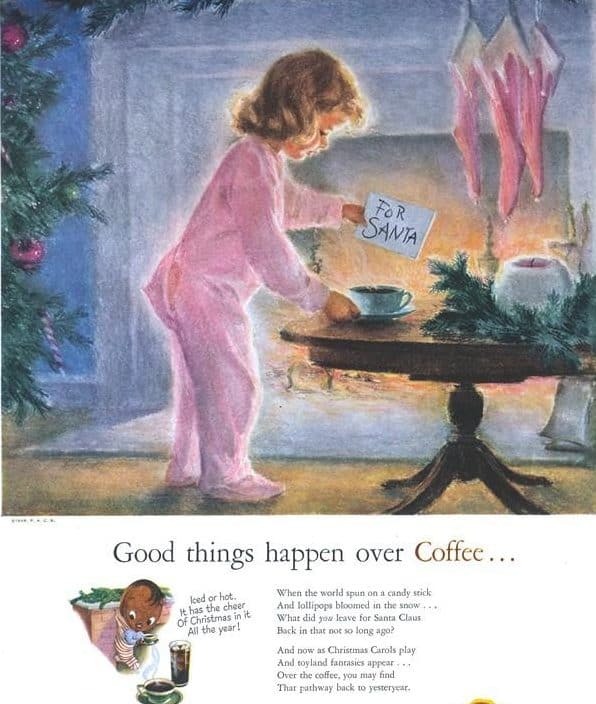 I have my coffee by the tree with the fireplace blazing. I walk outside and admire the lights on the house. I ponder ways to wrap the holidays in more grace. I allow myself to simply BE. Her tag line is “The cards tell the story, you write the ending”. Theresa is whip smart, funny, and kind. She helps me stay true to my own intuition. The ritual of getting a tarot reading helps me step out of my own reality, infuse my life with a bit of mysticism and magic. I book a quarterly reading with Theresa and we do a longer reading as a way to wrap the year and prepare for what’s next. From the time I was a little girl I felt the innate magical quality of solstices and equinoxes. In my mind, the mythical Mother Nature turned a special dial to officially change the season. I still feel that magical pull on those days. As I’ve aged, I’ve learned that my childhood view of magic has allowed me to harness the belief that there is magic to be found all around us. To help me with this, I’ve been using Briana Saussy’s Book of Hours with every moon stage, equinox, solstice, and more marked on in a downloadable book (along with a thoughtful question for each occurrence. I get a Word of the Year Goddess reading from Amy Palko. Amy is a Scottish Muse and her Goddess Word Readings present you with a Goddess to guide you in the year ahead. Invariably, her choice for me helps me find new ways to tap into my intuition. I wrote monthly love letters to my “Goddess” this past year as a way to stay connected to that important inner voice. This was a year of healing and the love letters reminded me to stay true to myself. My favorite venue to support other creatives is Patreon. I look at the offerings of folks desiring a little support so they can have some financial breathing room to create and sponsor a few of them. You can give as little as $1 or more. Just as I take a day and enjoy the holiday decorations, by taking a day a month to unplug – and marking it on my calendar – it means I can find a day full of mindfulness no mater how challenging life gets. No matter if your year has been wonderful, challenging, or somewhere in between, I can promise you that choosing to find loving ways to wrap the year and mindful tools to plan for and prepare for the year ahead can’t help but help you find magic in the curating of a nourishing life you can’t help but love. Are you ready to wrap this year and look ahead to next year?